The goal of this study was to examine the feasibility and accuracy of a novel dual-energy CT technique in measuring the electron density. By using dual-layer CT (DLCT), the authors investigated two approaches to obtain relative electron densities. 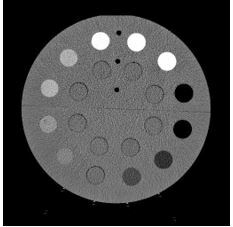 The results showed that DLCT-based electron density estimates have high validity and potential to improve the procedure and accuracy of measuring electron density in clinical practice.